Never hired a DJ before? Don’t worry – you’re not alone, and very few of my customers have booked a mobile DJ before, let alone the DJ that’s going to provide the soundtrack to such a special event as their wedding. BUT DON’T PANIC – It’s not that difficult once you know what to look for! In fact I’ve worked hard to make it as easy as possible. There are several things to be aware of though. Unlike many industries, the DJ business is completely unregulated. Anybody can go out and purchase the equipment and set themselves up in business as a mobile DJ or even worse, a wedding DJ. They may have the best of intentions, but would you want to entrust your wedding entertainment to somebody with no experience? Even worse, there are stories and messages for help every week just in Cambridgeshire because the DJ hasn’t turned up to the party for whatever reason (it’s normally money related, but that’s a post for another day). Firstly, you need to know what you’re actually looking for from your wedding DJ. For instance, would you really want this guy to DJ for your wedding? Do you have a specific type of music you’re expecting during your wedding? Some DJs specialise in particular genres such as hip hop or soul music, whilst others are “all rounders” that can cater for the needs of most weddings without any problems. Remember, most weddings have a massive age range of guests and it’s important that Great Uncle Bill hears something he likes just as much as young Jenny! Do you want to be able to have input into the music played during your party? Most of us will happily accept requests on the night and slot them into the mix as and when they fit in. There are DJs out there though that prefer to play a set list of music without deviating from it. There may be many reasons for the latter, but it’s normally because they either don’t have a vast selection of music of they don’t know how to include it at the right time during the party. Do you want your DJ to be interactive with your guests? And I don’t mean throwing shapes on the dance floor with Aunt Mabel (although some do!). I mean are you looking for a DJ that keeps microphone work to the bare minimum, someone who’s willing to use it occasionally and interact with guests, or a compete “Smashy & Nicey” character that back-announces every single track being played. What do you want your disco to look like? OK – that’s a difficult question unless you’re actually in the trade. But it CAN matter! Do you want a full on night-club experience with smoke and lasers, or would you prefer something more subtle. Maybe the equipment is to be in place whilst you enjoy your wedding breakfast and you’d prefer all of the equipment to be white as opposed to the standard black to fit in with the rest of your decor? Are you holding a retro themed wedding and prefer to have a mobile disco that looks like they used to when that music was in the charts? It’s not always about the equipment, but look at the two different types of setup below….the one on the left is one of mine, the one on the right…..definitely not! Whilst it’s YOUR wedding, your guests are there to help you to celebrate and it’s just as important for them to be having a good time as it is you. Are they a more mature crowd who’d prefer older music and possibly not at night club volumes? Will there be a lot of younger children there who may will need entertaining with a few games before the proper adult party gets underway? Is there some sort of family tradition that always happens at parties which you’d like to happen during the evening? When talking to DJs, let them know who’s going to be there and see what the reaction is. Some for instance won’t undertake a party where a lot of young children are present, whilst others will relish in the idea. Some of the younger DJs won’t have an understanding of, for instance, music from the 1960s/Motown/1970s/1980s eras which a more mature couple might be looking for. Would you prefer for your DJ to be local and knowledgeable about your venue? A two part question there…..by being local there’s less chance of something going wrong such as breakdowns en-route to your party. OK, the van can still break down, but it’s not as complicated to arrange for alternative transport 10 miles from a venue as it is 100 miles from a venue if that makes sense. As for knowledge of the venue….they’re all different, all have their own quirks and rules (some of them not obvious), and all have different characteristics relating to the way sound and lighting works. Would you prefer that your DJ had worked in the venue previously and knew all of these things, or are you happy to take a chance on somebody that might not have the right equipment on the night? Would you prefer your DJ to work WITH you? I don’t mean come into the office every day. 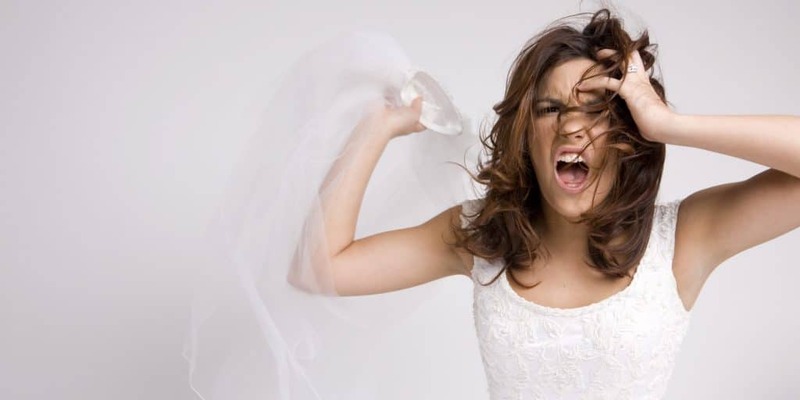 It’s important though for weddings that your DJ understands exactly what’s needed and when. For instance, there may be some sort of surprise being unleashed during the evening which needs to be planned properly and executed without you being involved, there may be something like a dove release or sparklers during a wedding reception. If you’re doing anything out of the ordinary, it’s important that the DJ you select is able to work with you on these things to ensure they work as you’d expect. Does the DJ provide a booking contract and insist on a deposit? This is actually more important than you might think. A deposit shows any supplier (not just a DJ) that you’re committed to hiring their services. The booking contract though creates a legal agreement between you and your DJ for the services to be provided, where, when, what to do if something goes wrong….the list is endless. It’s actually a form of protection for both parties, but probably most importantly will normally guarantee certain things such as a DJ actually turning up for the party. Is the DJ insured and is their equipment tested? Both of these are now something that more and more venues are insisting on to cover stipulations in their OWN insurance policies as well. I’ve deliberately left it until the last question. Why? Because I believe that hiring the DJ that’s right for YOUR wedding is a lot more important than hiring a DJ just because they happen to be cheap. I hear more stories of weddings being ruined by DJs at the lower end of the market than I do from those that charge a reasonable fee to run as a proper business. Whilst we all do similar jobs, we all work at different levels of competence, have different amounts of backup equipment (can the party carry on should a major component go wrong during the evening? ), have different amounts of “time served” (which leads to experience), some of us will work with you to create the perfect atmosphere whilst others will expect to turn up and press play. Can you see where I’m going? Whilst the DJ that suits most of your needs above may well be more expensive than the cheapest on the market….there are often reasons for that. It takes a lot of time and investment to run a business properly and legally, and the more established operators will charge accordingly to cover that investment whilst still earning a living from what they do. On the other side of the coin, there are those that work for beer money, don’t invest in equipment, insurance or even legal music, but they’re a lot cheaper to hire. Whilst it may seem expensive, most of us can offer help with paying too, such as staggering the payments over time rather than paying out a big lump of money before the wedding. OK – a lot of questions but hopefully a way of helping you to choose the ideal DJ for YOUR wedding.